FRENCH President Emmanuel Macron has appointed his Senegalese-born media adviser as government spokeswoman, one of three new faces for his cabinet as it gears up for the European Parliament elections next month. 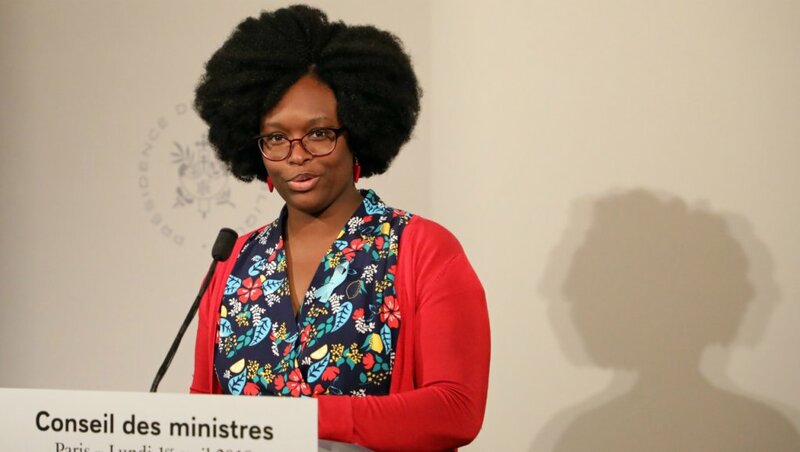 Sibeth Ndiaye, a 39-year-old born in Dakar, only obtained French citizenship in 2016 while working as a communications advisor for Macron’s presidential campaign. She replaces Benjamin Griveaux, whose resignation last week came ahead of a run for Paris mayor next year. After growing up with a politician father and a mother who was president of Senegal’s Constitutional Council, Ndiaye moved to Paris to study at university and became a left wing student activist before joining the Socialist Party in 2002. ‘Her nomination is a strong endorsement of diversity in a high-profile job, a promotion and a sign of the president’s trust,’ Philippe Grangeon, one of Macron’s top advisers, told French daily Le Monde. Ndiaye gained notoriety after a documentary of Macron’s grassroots campaign was released shortly after his sweeping win of the presidency in May 2017. The film, Behind the Scenes of a Victory, shows an outspoken Ndiaye who doesn’t hesitate to harangue reporters over what she considers unfavourable coverage. Later in 2017 French news weekly L’Express reported that she had said she was ‘perfectly ready to lie to protect the president’, though she later denied making the statement. Ndiaye is a relative rarity as a black woman in a French government. Rama Yade, also born in Senegal, held several ministry positions in president Nicolas Sarkozy’s government. Christiane Taubira of French Guiana was justice minister under ex-president Francois Hollande.